Ships have carried food supplies to Qatar from Aliağa port of İzmir twice since June. In the aftermath of the blockade on Qatar by a number of Arab countries, Ankara's economic relations with Bahrain have come to the fore since Turkey delivered food products to the countries, announcing its support for the country. The latest reports indicate that Turkey's exports to Qatar saw a remarkable increase of 84 percent in the last three months, reaching $165 million compared to the same period last year. According to data compiled from the Turkish Exporters Assembly (TİM), Turkey sent $65 million in exports to Qatar in August, an increase of 75 percent compared to the same month of the previous year. Moreover, export volume increased significantly during the most recent three-month period from June to August reaching $165 million, an 84-percent increase compared to the same period of last year. Export volume boomed in August, with aquatic products and livestock taking the biggest share of August export volume with $8.6 million. In the same sector, eggs ranked first among exported products with $7 million. Exports in the electric and electronic services sectors reached $8 million last month. 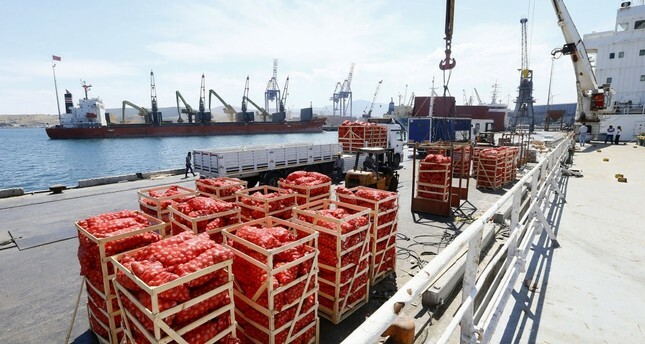 The chairman of Aegean Aquatic Products and the Animal Products Exporters' Union Sinan Kızıltan said that food products took the biggest share in exports made in the last three months, indicating that eggs were the most exported product in the period. He also indicated that Turkish products were placed on the shelves of nearly every market in Qatar, adding that the union believes this will be permanent, asserting that they have conducted special works to establish new commercial connections in the country by launching fairs.Stressing the crucial importance of the balance between quality and price in the export market, Kiziltan said, "The Turkish products [we export] are of very high quality. Even if the embargo [on Qatar] is [lifted], our products will be permanent there." It was also reported that the arrangement of regular shipments to Qatar had an impact on increasing exports to the country. İpek Demirci, the general manager of QT Logistics which organized two cargo ships at the Aliağa ports of Izmir to travel to Qatar, pointed out that a significant number of companies have seen demand for sending goods to the Qatar market. In order to ensure that trade between the two countries is permanent, bilateral talks between Turkish and Qatari businessmen were held in Izmir in early August. Organized by the Ministry of the Economy in Izmir, bilateral business talks were held between Turkey and Qatar in Izmir and were attended by 90 company representatives from Qatar and 150 representatives from Turkey. Moreover, businessmen from both countries are expected to reunite at the Food and Consumer Fair that will take place in Qatar from Oct. 26 to Oct. 29.